Academy first graders recently visited the Lyon Arboretum as a supplemental field trip to their class curriculum to learn about plants. In class, the girls are learning about plant parts and what plants need in order to survive. In a classroom activity, Ariane N. and Cherish M. drew their observations of a Morning Glory plant. 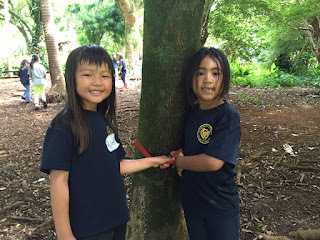 At the Lyon Arboretum, Rylee N. and Kayla K. enjoyed the hands on activity to find the tree trunk, or stem of the tree, that fits perfectly with its matching "tree belt". 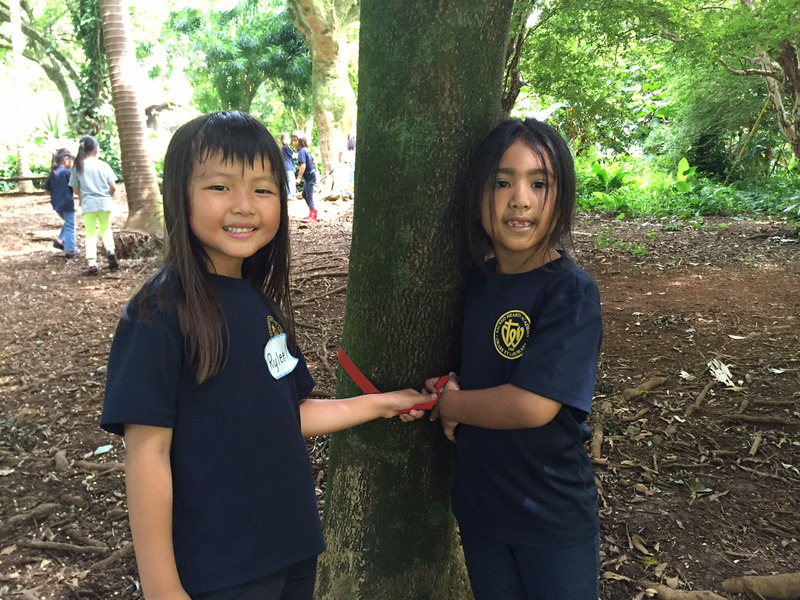 Mahalo to Academy first grade teacher, Dr. Sharon Fukayama for sharing the great photos!